When someone is at high pressure, conversation with them is not easy. There is a certain glazed look in their eye, as they try to manage the intensity of what they are trying to express. And you can’t get a word in edgeways. You open your mouth to reply – and they are off again. You just have to wait and sit out the onslaught. When children are excited and at high pressure, it is wonderful to witness. Plus, you know they won’t maintain it for long. But adults – that is not so much fun. It can go on – and on. It’s like the weather. With high pressure weather systems the winds go one way – outwards from where the pressure is the most intense. When the high pressure system is over your area, there are the same conditions for days or weeks. If it’s cloudy, it stays cloudy. If sunny, it stays that way too. But on the outer edges of the system it is a different story. There are winds and turbulence as the high pressure equalises itself out, dumping its excess on the surrounding area in the process. It’s usually associated with exclamation marks, capital letters and gaudy red or orange notices. It’s more subtle, but equally irritating, online. All those ads on Youtube or Spotify, whose main effect is to send me reaching for the ‘mute’ button. And the providers know the ads are irrritating, because they tell me that if I pay for their service, I won’t be bothered by ads. What incentive is that for an advertiser? I promise you, here and now, you will never be interrupted by an ad from Implementations when you are watching a film or listening to a piece of music. What is the alternative? Is there another way of interacting with potential customers? What is the low-pressure approach? As I see it, the low-pressure approach has three stages. First, I have to let you (and anyone else who might be interested) know that we exist. When the business was new and young, we had to go high pressure to do this. We went to shows. We pestered journalists. Jane gave talks. We said the same things, over and over again. Nowadays, we don’t have to be at such high pressure, so we have a Facebook page, and more recently, a Facebook group. We run a small ad in some magazines, something like this. It says who we are and how to contact us. That’s all. In the second stage, we have to make sure that the lines of communication are open, that nothing will prevent the people who want to engage with us from engaging with us. Does the website work smoothly? Make sure someone is there to answer the phone if it rings. If someone has a problem with delivery or anything else, get on to it. If we get it right, this part is rather like a swan gliding on a lake: serene and smooth above water and paddling furiously in the part that can’t be seen, below the water. The third stage looks simple but is actually more tricky – for us, anyway. We wait. We go low-pressure. We trust that there are people who love the concept of the tools as much as we do. To use the analogy of ‘Field of Dreams’, we’ve built it. Will anyone come? The low-pressure approach has some hidden bonuses. I have some amazing conversations with customers, for example. I like them. I relate to them. We find we have common values. Interactions are a transaction, an exchange rather than a persuasion. A human-to-human affair. So we will stay low pressure. A January ponder. Something I wrote in 2014. It still rings true, although I might add a bit more now. Planet Earth gives me a body and maintains it during my existence here. Thus will I trust in her and study her ways in order to understand them better. Planet Earth gives a home to our companions here – the tribes of animal and plant life, all mutually upholding and maintaining. Thus will I value each for its unique contribution to the whole. The different regions of planet Earth resonate with distinct frequencies. Thus will I pay respectful attention to the expression of each place, both as I feel it direct and as I witness it through its people. Planet Earth lives through cycles of days, seasons, years and more. These have their theatre through the elements: the air, water, fire and earth. Thus will I take note of her rhythms and adjust accordingly. Planet Earth moves within a larger domain, which I have been given the faculty to register. Thus will I develop my sensitivities to what is at play at any time, so that I can find my own expression within it. This expression then becomes my offering and contribution back to the Great Mother. 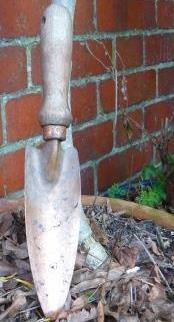 My 15-year-old Mira Trowel disappeared in the garden last spring. I couldn’t find it anywhere. And this afternoon, there it was, stuck in a flowerbed where I had left it. The leaves had died back to expose it. The blade and handle (which was oiled every year) are as good as when I last used it, but the ferrule is a bit rusted. Not bad – a great start to 2019! “Earlier this year, we lost our Implementations copper trowel, though I’m still hoping to discover it buried with the beetroot. A straight replacement of a shiny Castor trowel would make me happy on Christmas morning. 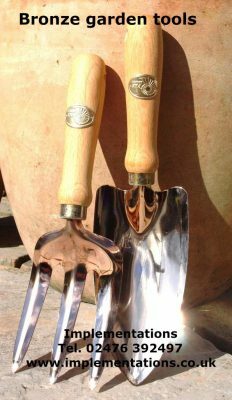 I am almost addicted to their dibber and my short-handled Phoenix hoe“. 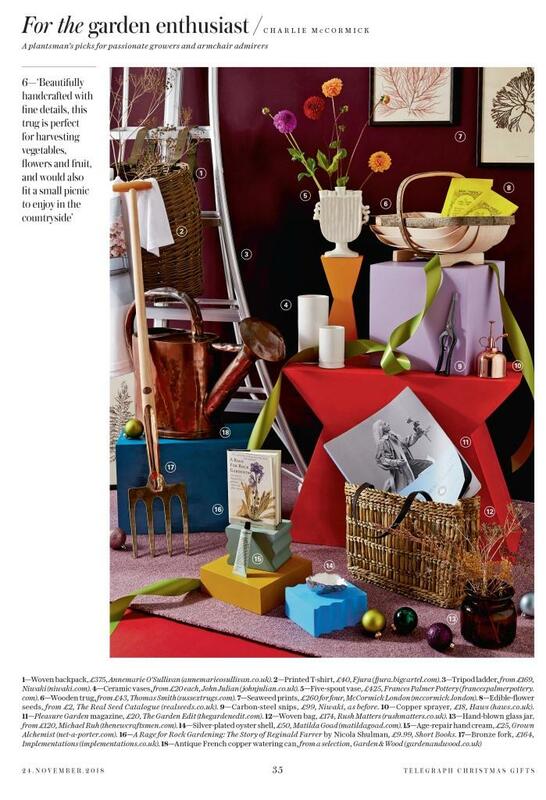 The Antares Border Fork features in this year’s gift guide for gardeners. Japanese knotweed, giant hogweed, himalayan balsam, rhododendrons in the UK, kudzu in the USA: these are the enemy, right? Well, this book gives a new perspective on them all. Alien species reduce biodiversity, right? They are bullies that elbow out native species and take over the prime spots? Well maybe not. In fact, Fred Pearce makes a strong case that japanese knotweed, water hyacinth, zebra mussels and other invaders clean up polluted sites. Large parts of the rainforests of Amazonia, central Africa and Borneo were undisturbed by humans until the loggers and developers moved in, in the nineteenth and twentieth centuries, right? Maybe not. In fact the author gives evidence that there is no such thing as pristine rainforest. Brownfield sites are ecological deserts, right? 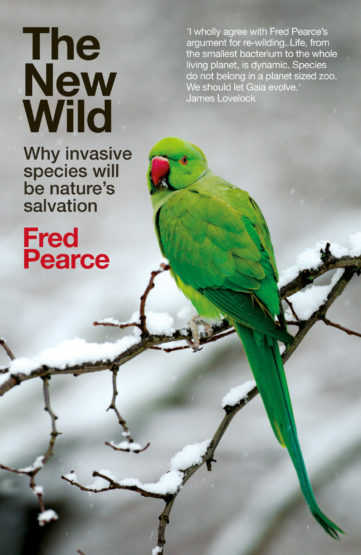 The author makes the case that they often host more species than areas we try to preserve. 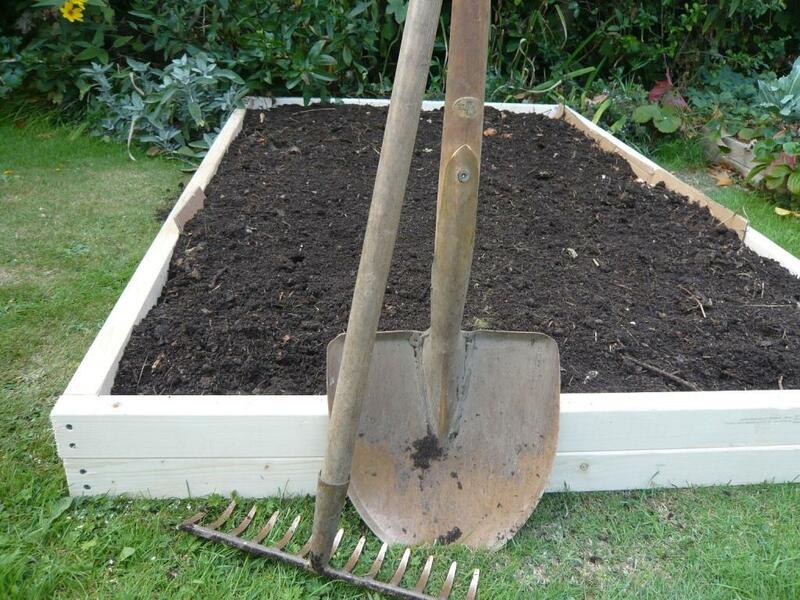 Made in an afternoon: a new raised bed using the no-dig method. Partner Nigel made the timber frame and laid it on the lawn. I sorted out some cardboard that the tools had arrived in and laid it inside the rectangle, covering the grass. 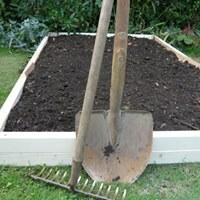 Then with the Libra Shovel and Perseus Rake, I sorted out the compost and filled up the new bed. Now we will wait until the compost settles. The lawn underneath will die and we haven’t disturbed the soil. 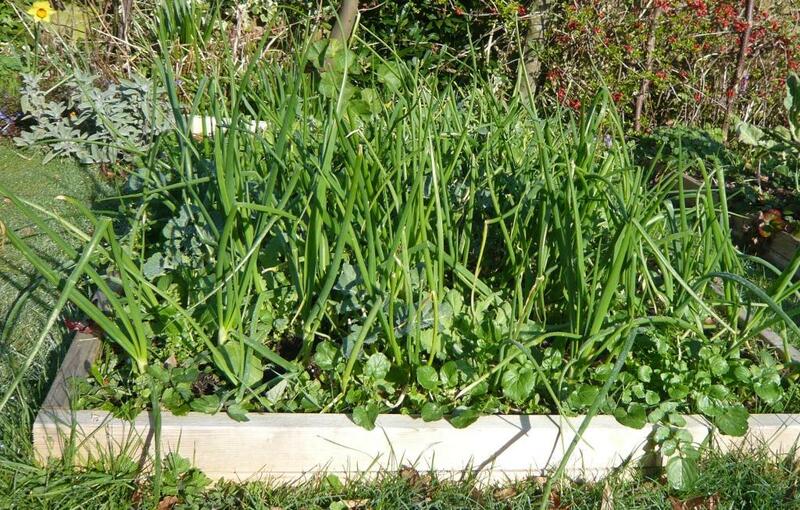 No worms were harmed in the making of this raised bed (although I disturbed a wasp’s nest in the compost heap). Slugs used to devastate pretty well all of the young plants in our garden. Since we have used the bronze tools we don’t worry about them any more. 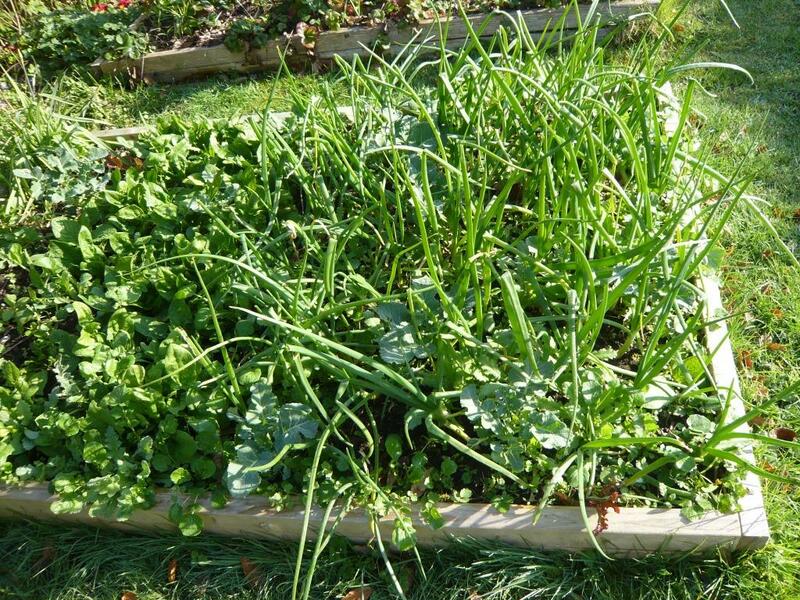 Here is some spinach I transplanted early last week, in a space between the overwintered onions. No protection – no damage. Exhibit ‘b’. Bedding plants in the front garden. Plugs of lobelia and ageratum from a supermarket, planted out ten days ago. One of the lobelia was a bit withered – and was shredded by the slugs. The others are as you see them here. Exhibit ‘c’. 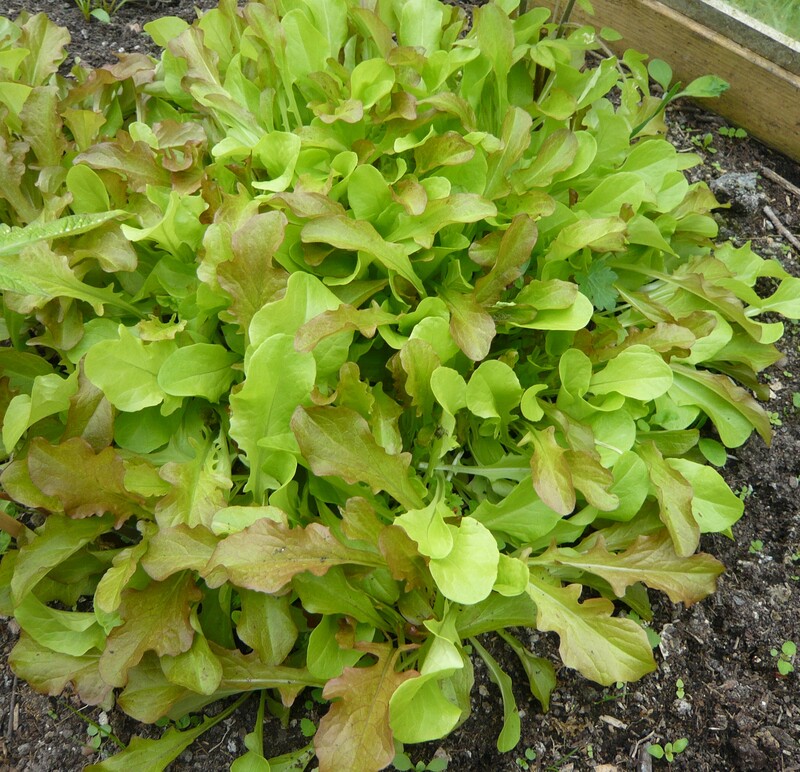 Partner Nigel scattered some seeds in the floor of the greenhouse, and they turned out to be lettuce. Untouched by slugs, as you can see. However, some plants still get stripped. 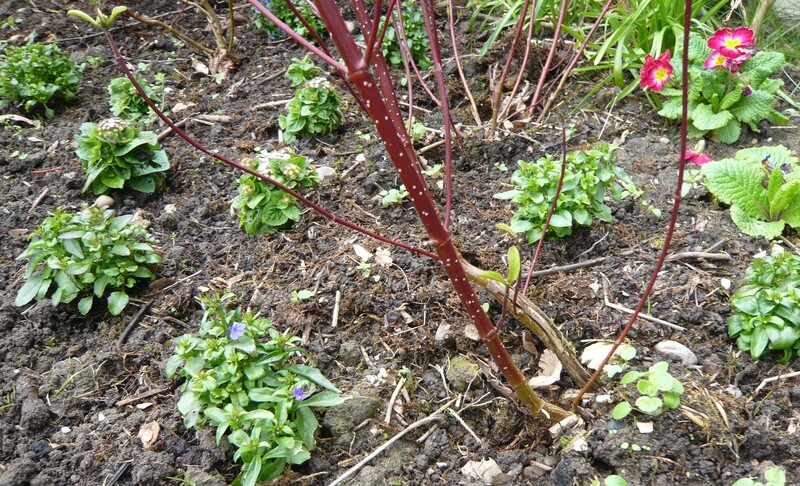 The slugs took a dislike to a perennial lobelia I planted in the front garden. So I won’t plant it again. More about the slug and snail effect here. This book is enchanting and subversive. It is a sociology of trees. 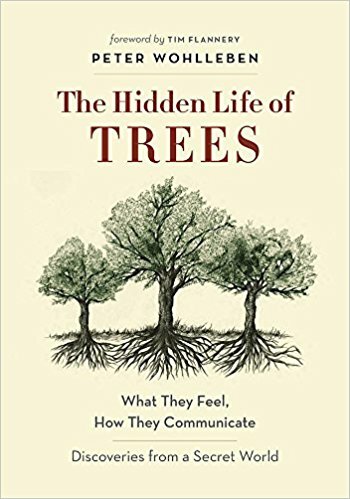 The author takes it for granted that the trees have feelings. He shows how they express pain or thirst. He shows how they communicate and care for each other, and look after their young. He also shows how they learn from experience. The book is subversive because it shows how the trees form a sentient, coherent community, just as humans or a herd of elephants would do. Without specifically naming it, the author asks us to have respect for this community. However, there are clear differences between a forest and a herd of elephants. Obviously, the trees are rooted to the ground. Their movement is by species, at the rate of a mile or so a year. This means the trees develop different strategies from animals when protecting the rising generation from predators. He tells how the beech and oak trees agree among each other when to produce the next generation – about once every five years. These years are known as mast years (after the beech fruit, the mast). The animals that feed on the masts and acorns can’t rely on a regular supply each year. In the glut of a mast year, some of the young trees get through. The main difference from us humans is speed. Trees do everything more slowly than us. The author quotes a researcher who measured the speed of electrical transmission through a tree – about an inch in three minutes. That means a foot or so in an hour. It means the crown is in a different timezone from the roots. They plan next year’s buds now, a year in advance. We have difficulty enough registering an elephant’s vocalisations, which are outside our range of hearing. A tree’s will be much slower than that, requiring even greater effort on our part. A final satisfaction in this book is that the author is poacher turned gamekeeper. He trained as a forester, which meant seeing trees as commodities: lumber to be felled. He takes us through the transition he has made from exploiting the trees to working with them. He acknowledges and regrets his past ignorance (and the pain and damage he unwittingly caused) as he uncovers the complicated networks and clever strategies the trees use. He shows us that they are much better at managing their ecosystem for optimum conditions than any forester. He learns from them, and shows us his notes. I loved this book. Highly recommended.